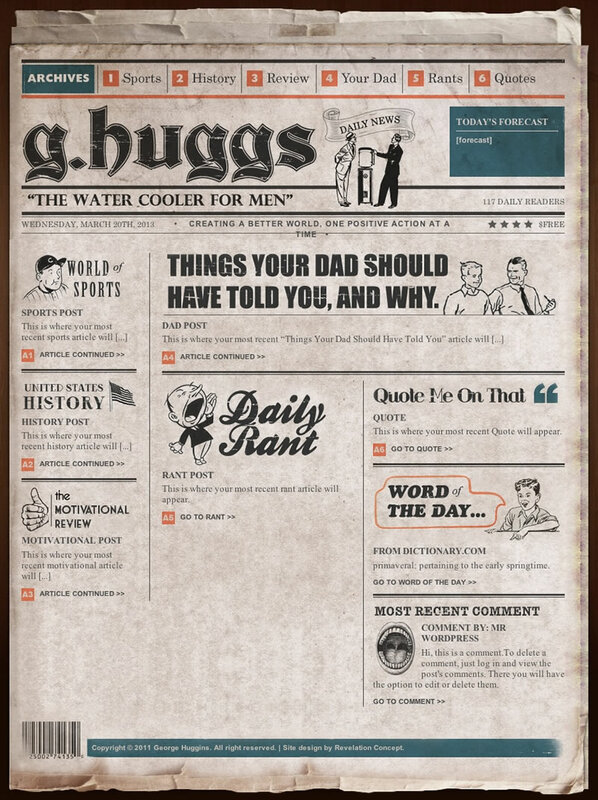 G.Huggs contacted me to bring an idea for a Men’s magazine to life on the web. 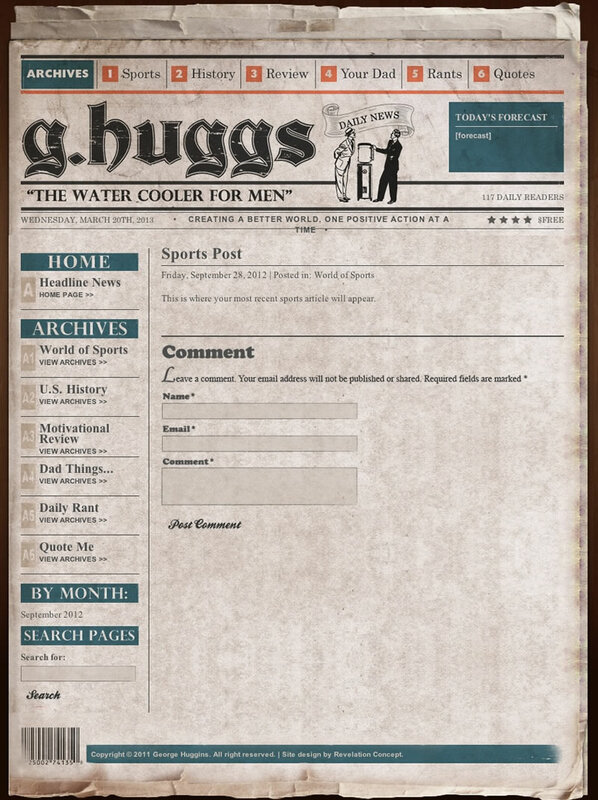 I created a custom design for G.Huggs based on the idea that the site be a daily newspaper. I hand-coded (XHTML/CSS) a custom WordPress theme for G.Huggs with a navigation system based on categories. I provide hosting and support for G.Huggs.